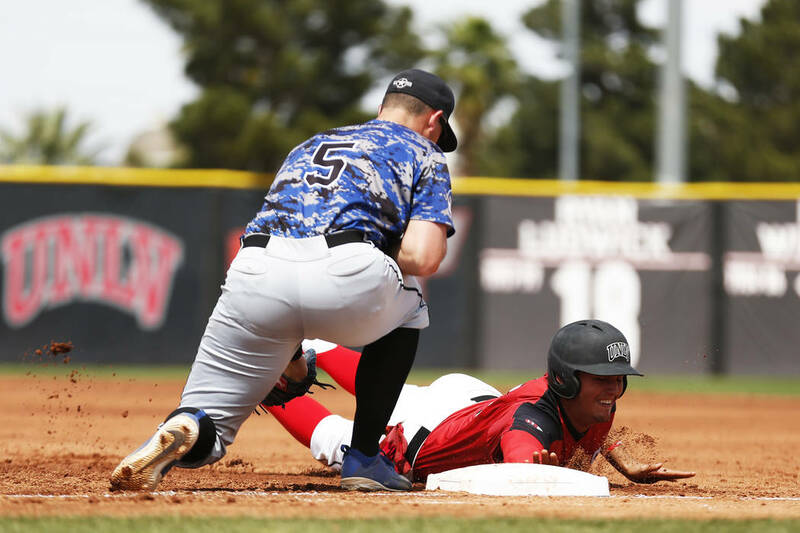 Dillon Johnson hit a tying RBI single in the eighth inning and scored on Jack-Thomas Wold’s go-ahead double to rally UNLV past UNR 7-6 in a Mountain West baseball game Friday at Wilson Stadium. Johnson and Bryson Stott each went 4-for-5 and scored three runs apiece for the Rebels (13-10, 3-4), who held a 14-10 edge in hits. Dillan Shrum went 2-for-5 with a tying three-run homer in the third for the Wolf Pack (11-9, 3-4). UNLV had gone up 3-0 in the first on an RBI double by Wold and a two-run double by Edarian Williams. Wyatt Tilley, Daniel Perry and Joshua Zamora had two hits apiece for UNR, with Tilley homering and totaling two RBIs. 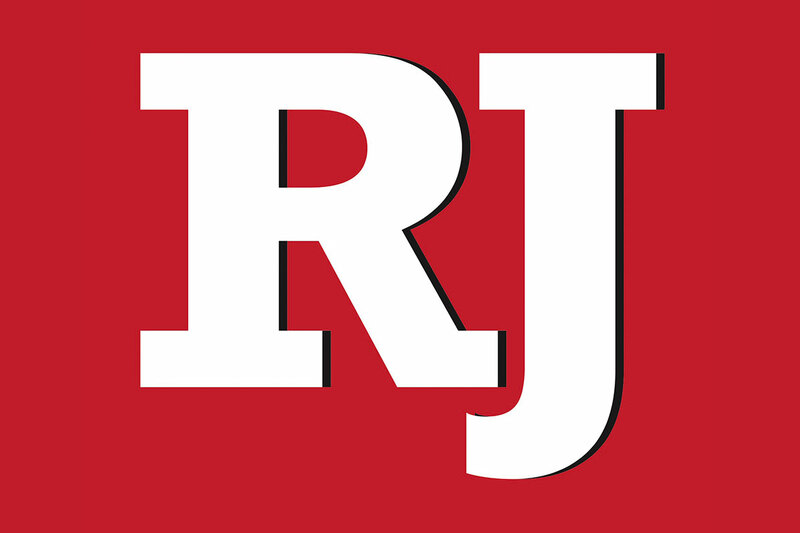 Rebels starter Cameron Jabara allowed five runs, four earned, on seven hits and one walk and struck out seven over seven innings. Jackson Cofer (2-2) worked the final two innings, giving up one run on three hits and one walk and striking out two. At Tucson, Ariz., senior Shannon Oh and sophomore Polly Mack each shot 2-under-par 70, two strokes behind the leader, to lift the Rebels to second place after the first round of the three-round Mountain View Invitational. UNLV is at 4-under 284, two shots behind Texas State and two better than Iowa State and Washington in the 13-team field. Texas State sophomore Geraldine Wong is alone atop the leaderboard by one stroke. Oh and Mack are tied for seventh in the 77-player field. Also for the Rebels, freshman Veronica Joels is tied for 13th at 1-under 71, and senior Elizabeth Prior is tied for 27th at 1-over 73. Sophomore Cathy Liu and senior Alyssa Getty, competing as an individual, are tied for 54th at 4-over 76. At Riverside, Calif., Jada Hicks, Kaysha Love, Emerald Bowens and Drea Austin won the 800-meter relay on the first day of the two-day UC Riverside Spring Classic in a meet-record 1 minute, 36.13 seconds. The foursome’s time bested the previous meet standard by 1.61 seconds. Also for the Rebels, Mackenna Howard placed first in the hammer throw (170 feet, 4 inches), and Emma Wahlenmaier was seventh in the 5,000-meter run in a personal-best 18 minutes, 7.30 seconds. At Logan, Utah, the opening game of the three-game Mountain West series pitting the Rebels (21-6, 2-1) against Utah State (10-13, 1-2), scheduled for 3 p.m. Friday, was postponed because of rain and tentatively rescheduled as part of a doubleheader Saturday starting at 11 a.m.